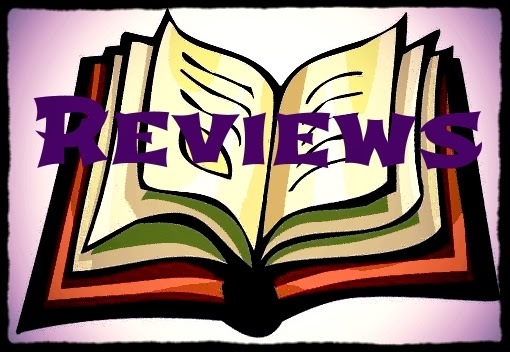 I really enjoyed Broken by Elizabeth Pulford.It has been sitting on my "to review" shelf for a very long time. It just kept getting pushed aside. My niece had asked me several time what it was about since it was a middle grades book. Finally this summer I made it a priority to read it. And I'm so glad I did. There has been a motorcycle accident and the main character Zara is in a coma. The story is completely told from Zara's point of view. I know you are thinking - she's unconscious. And I was worried about a story told by a comatose patient. It could have gone very badly. Buy Pulford makes it work. Zara isn't aware that she is in a coma, but she knows she must find her brother Jem. Her search takes her into her brother's favorite comic series. To fulfill her quest and presumably return to land of the living she must face the dark corners of her mind. Places she has securely locked away memories of a traumatic incident. While reading Broken, I was trying to determine if it would be something either my niece or nephew would like. My niece is more into epic fantasy so I don't think it is her type of book. However, I'm sure my nephew would enjoy the comic drawings included through the story. But I kept wondering if the topic was appropriate for an 11 year old. First there is the motorcycle accident that has left one in a coma and one dead. Then there is the secret Zara has buried deep within herself. It is not graphic or even that horrific. I think the foreshadowing of the "secret" had my mind going much darker. But then I remembered the books I was reading in middle school. It isn't any "darker" than The Face on the Milk Carton by Caroline B. Cooney. It might even be less so as the story really isn't about the "secret", but facing your fear and healing. I was, though, an eight grader when I read The Face on the Milk Carton. But I can tell you, if Broken had been in the book fair when I was a kid it would have been a book I bought. The "I don't know if this is for kids" feeling I was getting was because I now read much darker material and have been exposed to much more evil in the world. I know what can happen to children in the situation Zara is running from. But for a kid, I'm sure their mind won't be conjuring up the worst, or at least (and I so do hope) their "worst" isn't the worst I can imagine. Also for the involved parent, the book would open up conversations about talking to strangers and being open with "secrets" that are painful but need to be healed. You aren't "down the rabbit hole" the whole time. Throughout the book there are moments where Zara is more in the present, just below the surface of consciousness. You hear her family and friends. It reminds you that this isn't just some fantasy story, but a drama. I thought Pulford is a great job of giving the reader the feeling of Zara disorientation and confusion (Zara doesn't realize she's in a coma) without actually disorienting and confusing the reader. 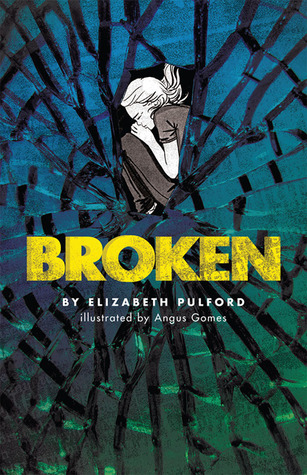 Even as an adult, I found myself very much enjoying Broken by Elizabeth Pulford and would have loved it as a younger young adult. Girl Who Reads is an Amazon advertising affiliate; a small fee is earned when purchases are made through the above link. An ARC was provided for this review.